Sometimes I like to thank someone for a kind deed. A quick note or small gift makes the thank you extra special. 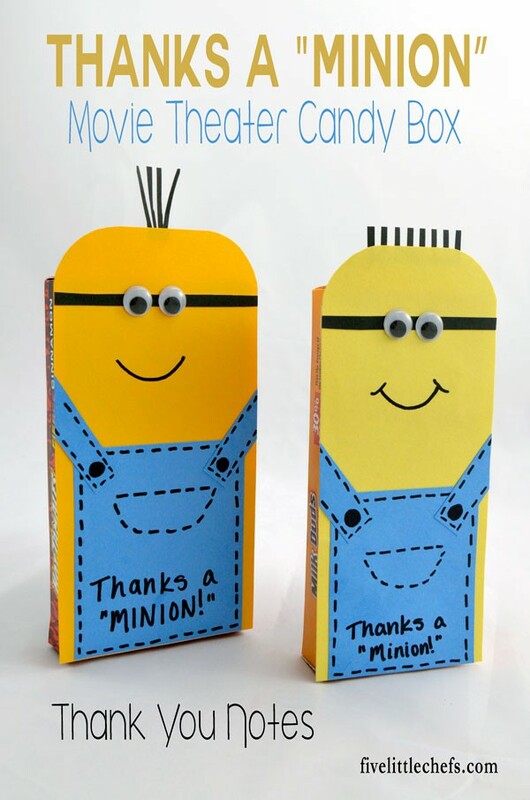 This Minion Thank You Note is just that – an easy craft that takes just a few minutes to create. Thank you notes with candy are extra special. 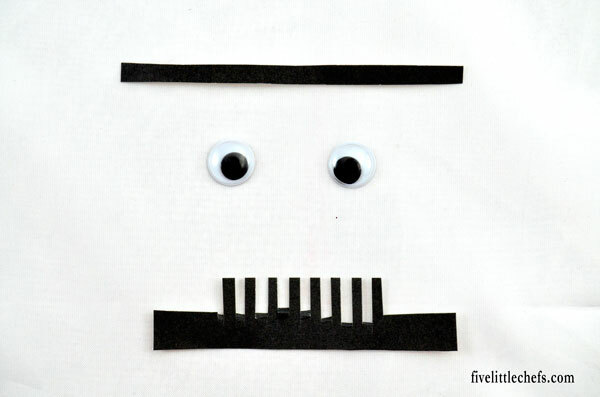 I love printables, but sometimes I want a craft that isn’t a printable. 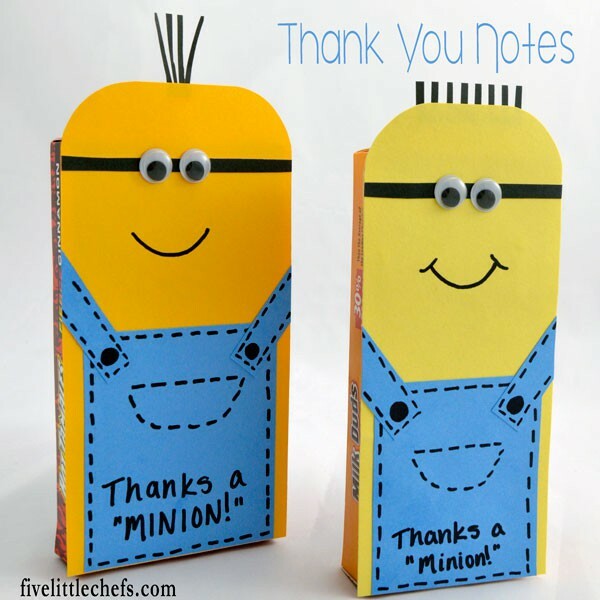 This fun minion thank you note is easy to create and easy to replicate. Measure your movie theater box candy. Add 1″ to the length. I like to add 1/4″ to the width just to be sure it covers the box. Cut out the yellow card stock to these measurements. 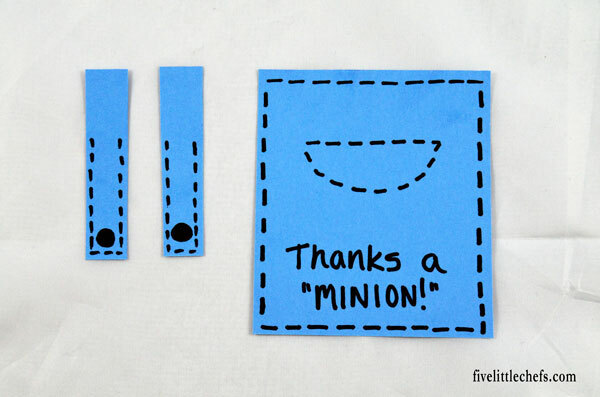 Round the top of the yellow card stock to create the head of the minion. Cut a rectangle out of the blue card stock. The width is a little smaller and the length is about half that of the yellow card stock. Cut two smaller rectangles out of the blue card stock. 1/2″ wide and about 2″ in length. You don’t need to be exact as you will cut off the extra. Cut out a strip of black card stock the width of the yellow card stock. This will go behind the eyes. Using the black card stock cut out hair for the minion. It doesn’t need to be perfect or exact. Glue the blue clothes on top of the yellow card stock. Cut off any excess of the overall straps. Glue the black strip at the top with the wiggly eyes on top. Glue the black hair to the back of the yellow card stock. Draw on a smile with a black sharpie. 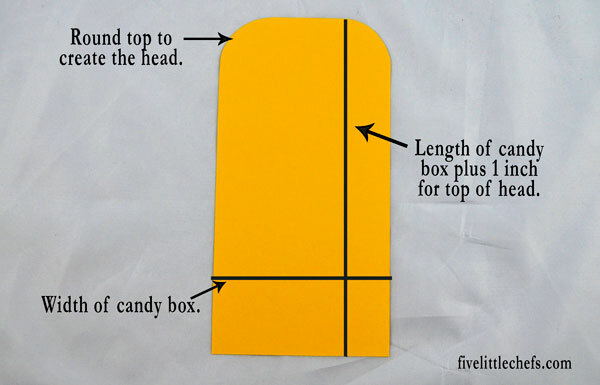 Glue the yellow card stock onto the movie theater box candy. 2 Replies to "Minion Thank You"